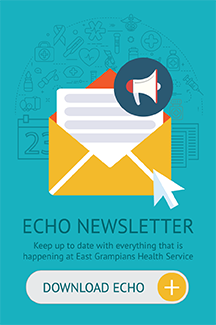 Willaura Health Care is part of East Grampians Health Service located 37 kms south of Ararat. The Health Service consists of 8 Acute and 2 nursing home beds. Willaura has eight acute beds available for medical admissions. Allied Health services provided include physiotherapy, podiatry as well as exercise classes once a week to both residents and the community. A Pathology service enables local people to have blood collected on certain days of the week and transported to Ararat. A Dietitian, Speech Pathologist, Podiatrist and Occupational Therapist also provide a service to the hospital, residents and community monthly. If you would like to find out more about this service, please contact us on 5352 9327. The Day Centre maintains a wide choice of enjoyable activities to offer to the increased number of older people who visit the Centre on a regular basis. It is a welcoming place to meet, enjoy a meal together and importantly have fun. The focus is on improving the mental health and wellbeing through activities that are stimulating for attendees. Volunteers play a big part in the day to day activities which gives the centre more flexibility with activities, additional outings and importantly, strong bonds of friendship are developed. District Nursing continues to be a familiar and friendly sight to those in the local community. District Nursing in Ararat and Willaura has been successful in achieving aims of maintaining clients in their home environment, often eliminating the need for a hospital admission. District Nurses continue their involvement in Discharge Planning and work closely with other professionals such as Palliative Care, GP’s, Post Acute Care and Allied Health. Staff are skilled to work autonomously whilst maintaining vital health links with the Medical Centre. This combined approach ensures patient’s needs are recognised and implemented in a co-ordinated and responsive manner.